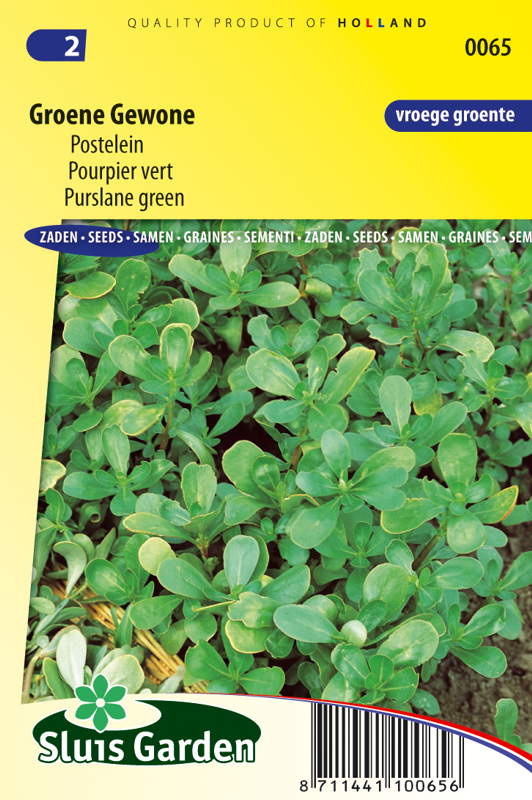 Purslane is a crop that prefers warm and humid conditions, which allow it to grow very quickly. Sow early cultivations in a greenhouse, cultivations later in the year in the garden. Sow thinly, directly in the soil and press lightly. Do not thin out. When sowing in the garden cover the seed until germination with a moist gunnysack or cloth. Immediately after germination remove in the evening. 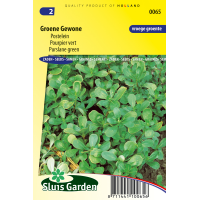 Pursulane has a fresh, salty, strong flavour and can be used with all green salads, cheese, soup, etc. A very Dutch, healthy and tasty product.